A smoky-eye addict’s best-friend, the double-ended Eyeliner/Smudger Brush has a fine angled brush for precision application of gel or powder liner and a soft, spongy ‘buffer’ to blur harsh lines and create a sexier, morning-after-the-night-before effect (Kate Moss eat your heart out). Retractable, with metal caps to protect the brush when it’s rolling around in your handbag, this hard-working multi-tasker is the ultimate tool for the woman on the go and makes creating the perfect feline flick a doddle – just dampen the brush and draw your favourite shade of KA eyeshadow along the lash line (The Essential Eyeshadow Set has five to choose from), for an instant make up update. Kevyn Aucoin’s range of professional products and tools captures the wisdom and creativity he applied throughout his career at the forefront of the beauty industry, so the woman at home can make up like a make up artist. Firm in his belief that cosmetics should enhance – not detract – from one’s natural beauty, everything from this skin perfecting primers to super-soft brushes and brilliant eyelash curlers are engineered to perfect skin, beautify eyes and define contours without any obvious artifice. 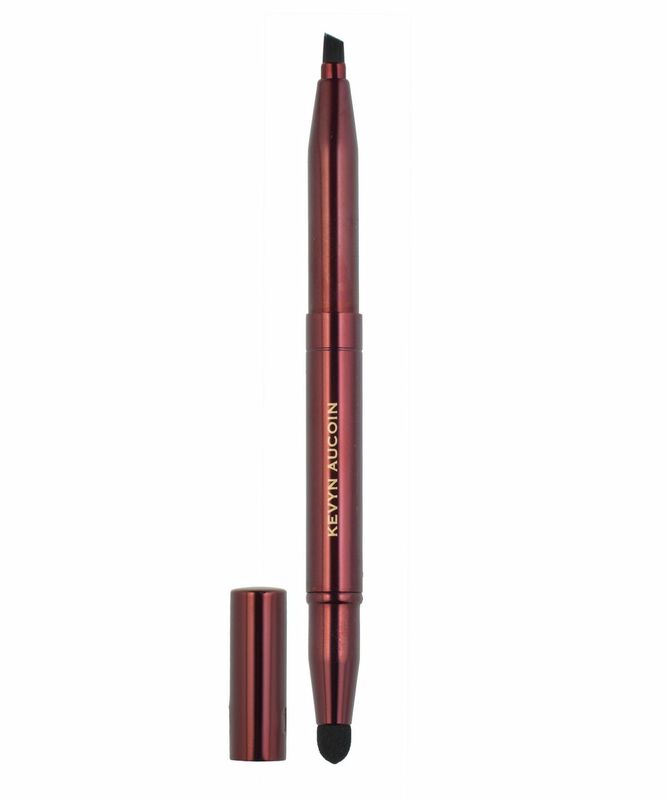 The Eyeliner/Smudger Brush is a make up bag must-have and is ideal for use with your favourite Essential Eyeshadow Set.